Party Time! 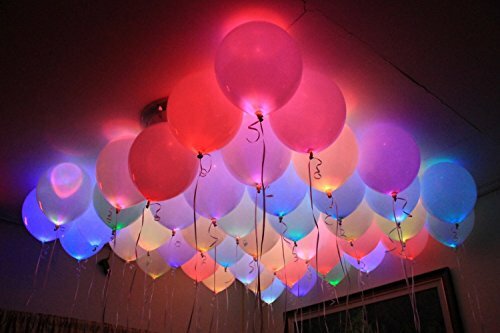 Throw a unique party with the LED light balloons. They are not only fun but affordable too. They make the perfect party accessory for people who love to have a good time. Hold the balloon gently and pull the paper tag to activate the LED. Simply inflate the balloon like any other balloon. Assorted colors. Ordinary balloon bouquets become radiant plumes for weddings and outdoor events. The Balloon Lights fit in the neck of inflated balloons, anchored by a heavy elastic ring. Note: "GrandShop" is the Trademark owned by Grandshop Online Services. Using our Trademark or Selling products under GrandShop without authorisation is illegal. 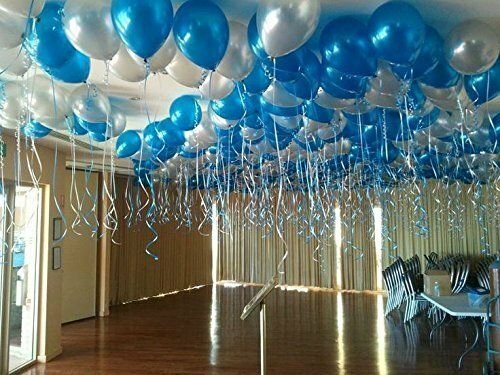 Package contains uninflated 50 Pcs premium quality Metallic HD Finish 9" Inch Balloons. GrandShop Balloons have been rigorously tested and are made of high quality biodegradable latex.